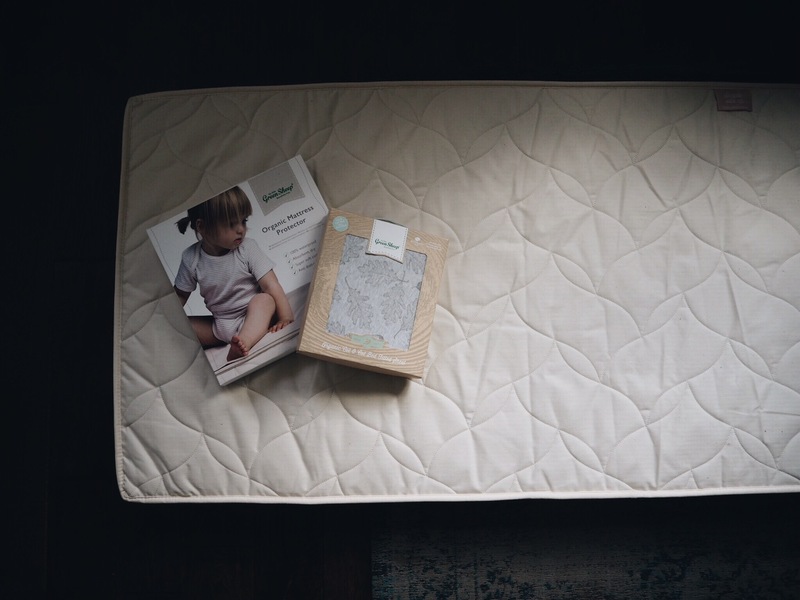 Just over a week ago we received some very exciting blogger mail in the form of a mattress from ‘The Little Green Sheep’ Company. ‘The Little Green Sheep’ Comany is a brand I have come across before and in all honesty had always heard very positive reviews about. So I was really excited to be able to try out one of their produts, review and feedback on our experience. I clearly remember the numerous searches for product review when I was expecting Harvey from buggys to bath seats, it’s endless. Before I give you my thoughts I think it’s important to know a little about the brand, so here we are…. ‘The Little Green Sheep’ was founded in 2006 by Mark Nicholls and Paul Maurice, two friends who first crossed paths whilst at University in Birmingham. Once they completed their University courses each ventured off on their relevant journeys, between them gathering experience in the product and marketing business as well as the organics industry. 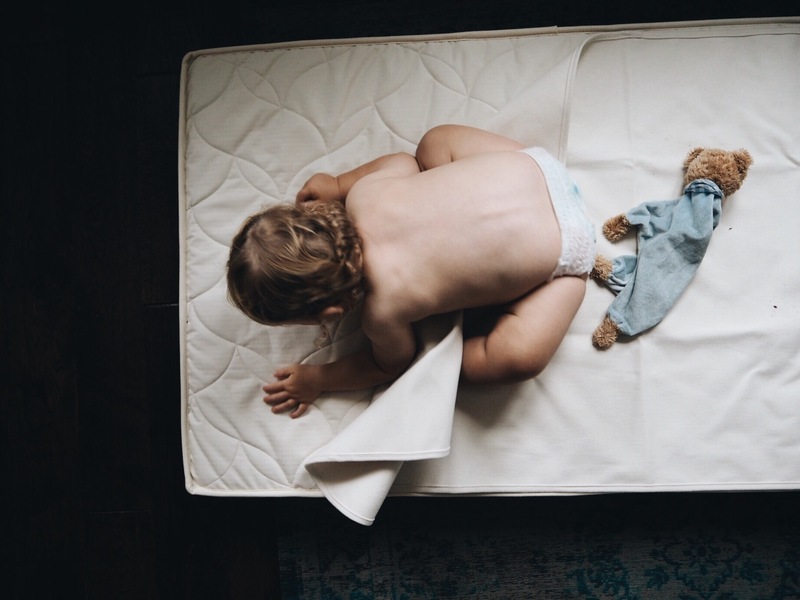 ‘The Little Green Sheep’ was grown later based on the simple idea of offering parents and babies the best in baby bedtimes and originated by the friends desire to design and manufacture a baby mattress that combined the best quality support, made in the most natural possible way (using natural and organic materials), the first mattress was launched in 2007! 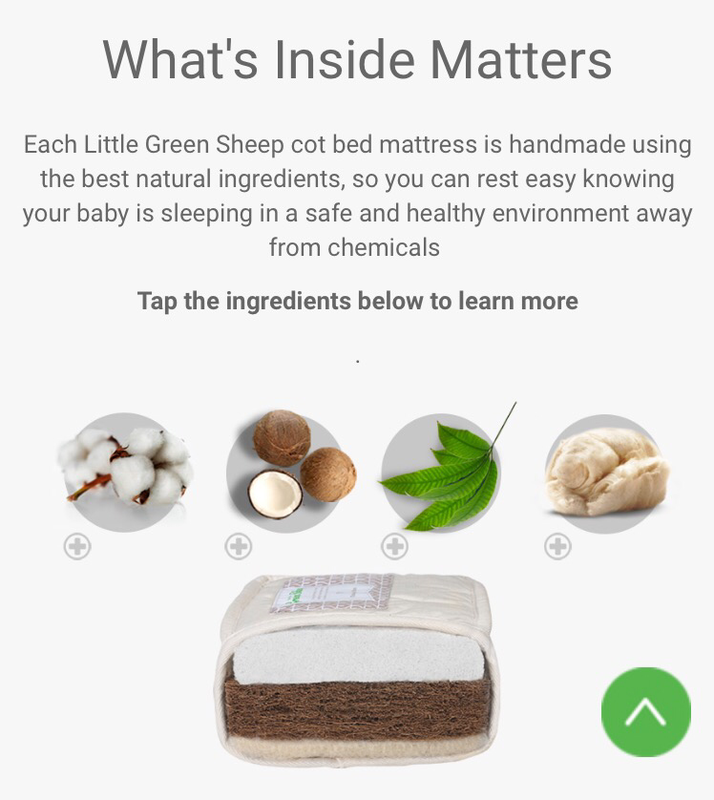 ‘The Little Green Sheep’ believe in providing the best for babies. It’s this which inspires them to do what they do, creating beautifully made products; shaped by simple, honest ingredients, and produced in an ethical and appropriate way. 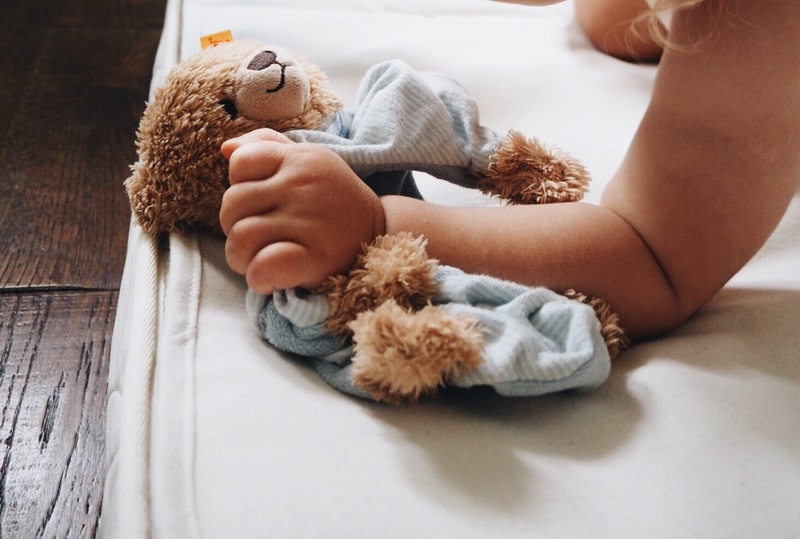 They believe in providing babies with the most natural environment possible, away from toxins and harmful chemicals but never compromising on quality. On first impressions the mattress looked great! 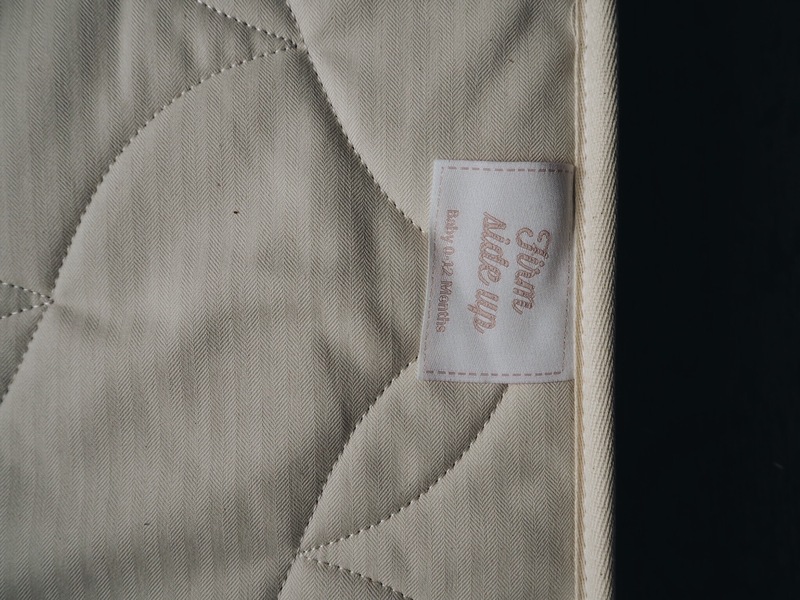 It had a clean and appealing finish with a quilted cotton cover, looked smart, but also felt soft and comfortable. After looking past the immediate visual impression the important thing to note is that the mattress (unlike many in the market) does not have a removable cover. 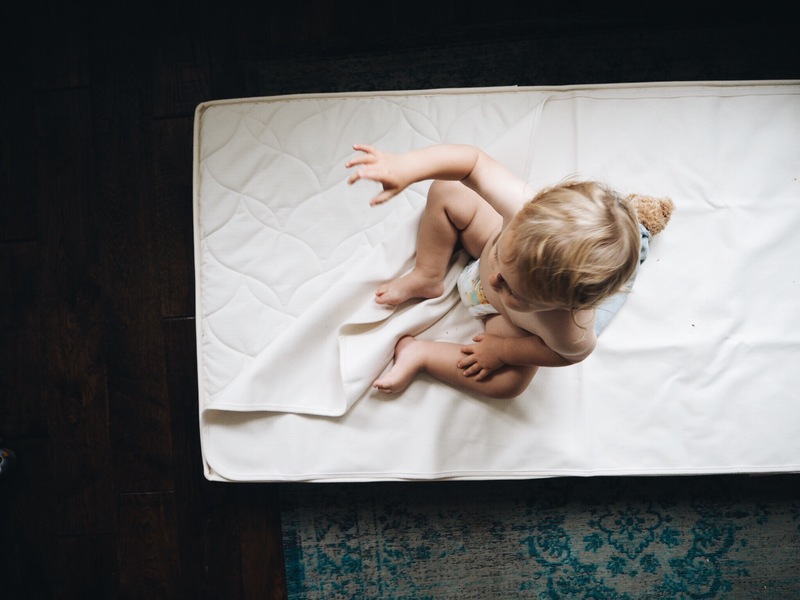 Therefore it is recommended (essential) that you use a mattress protector to protect against any possible damp (I’m thinking poorly babies, leaky nappies and potty training toddler accidents). 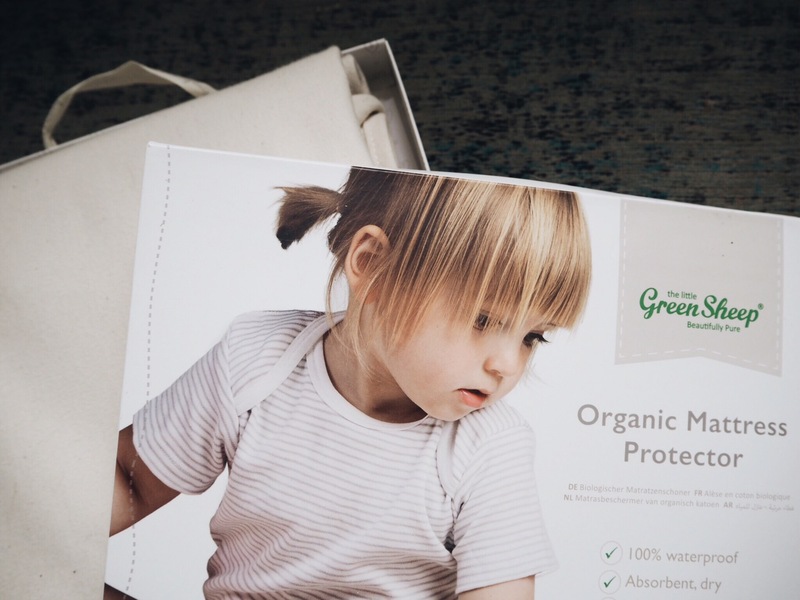 ‘The Little Green Sheep’ sell their own recommended mattress protectors which are just as soft and organic as the mattress it’s self! 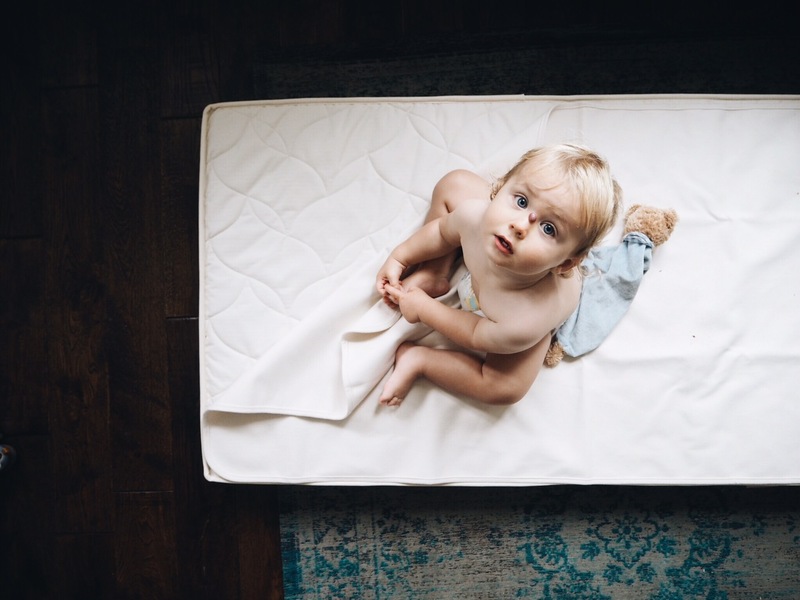 The next thing to look at are the two sides to the mattress; these have been cleverly designed to take your baby through their toddler years to a recommended age of five. 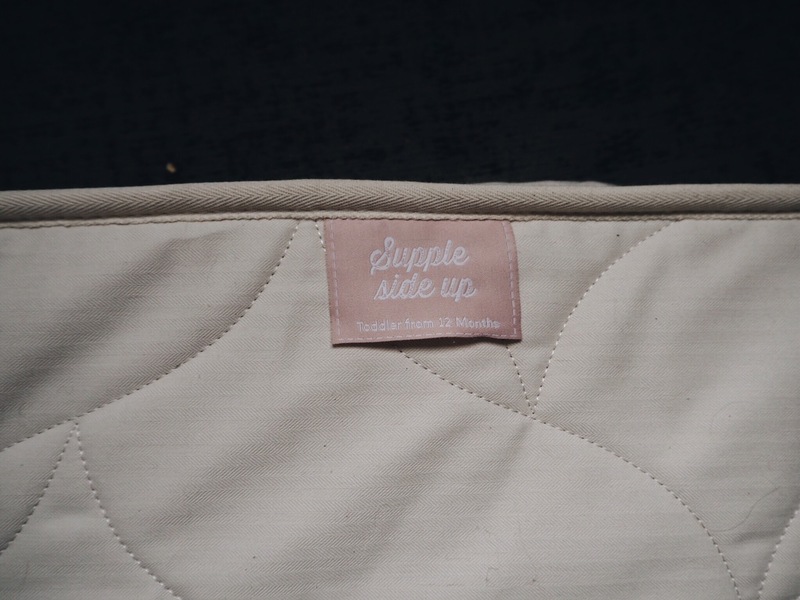 The mattress has been smartly designed to incorporate two different sides of support. 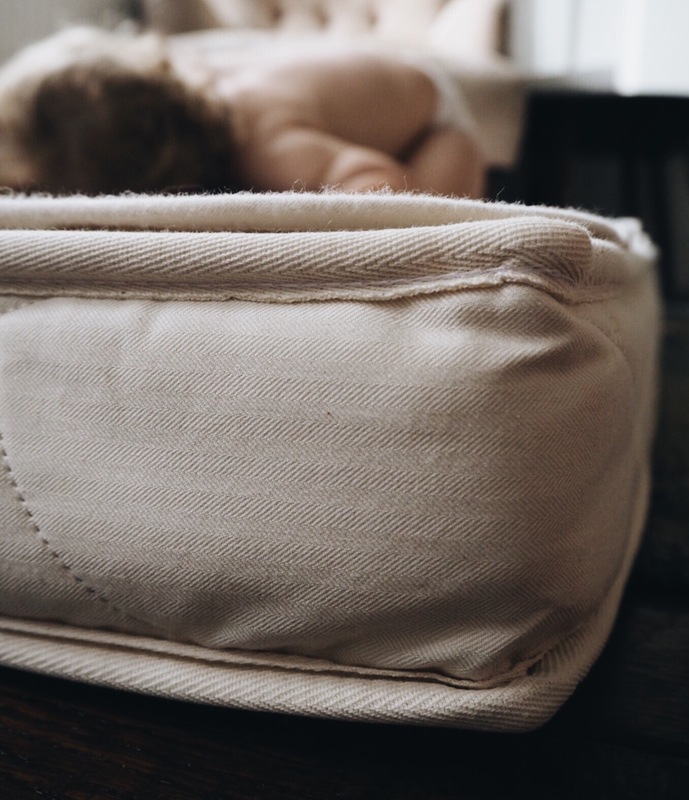 One with a side designed for 0-12 months (firm surface). The other for side little ones from 12 months to five years (supple yet comfortably). 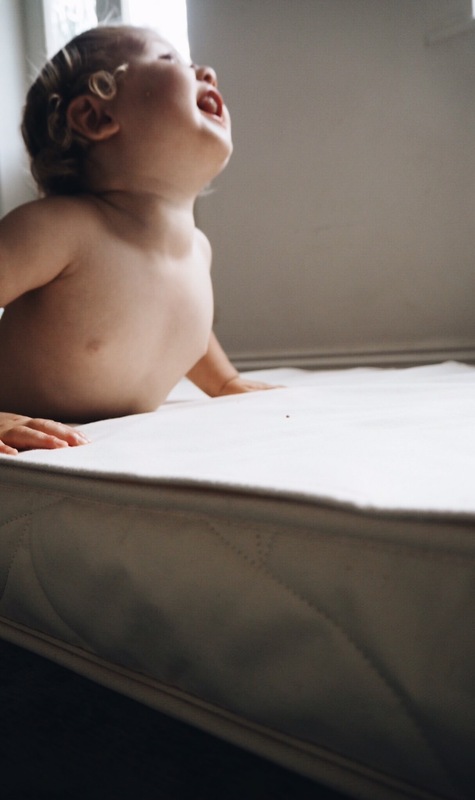 Based on Harvey’s age, 14 months, we used the mattress on for the elder ones. 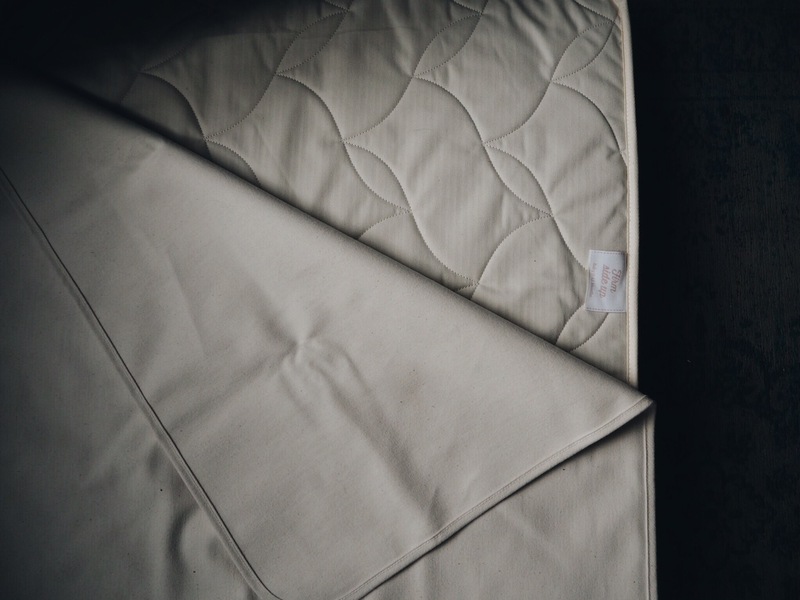 Harvey took to the mattress immediately, snuggling down with no complaints and sleeping happily through the night. Prior to Harvey’s nights on the mattress he was sleeping on a mattress made by a different brand and if I’m honest also had no difficulties sleeping. Harvey is generally a good sleeper, although an early riser (sadly the early rising didn’t change with the introduction of the new mattress, despite wishful thinking from both Mummy and Daddy). So what were the benefits of the mattress? 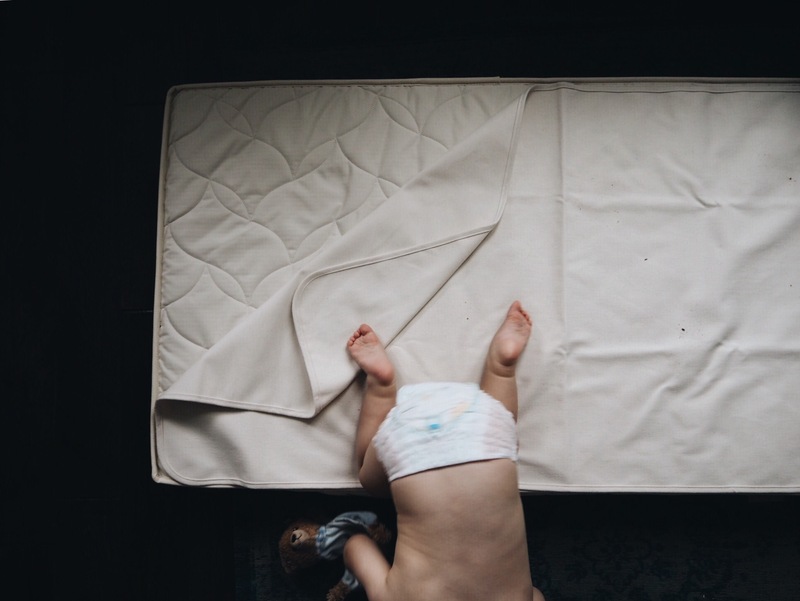 First of all it gave me a greater peace of mind knowing that my baby was sleeping on a mattress that didn’t contain any chemicals or toxins. This made me feel happier and far more content about putting him down at night, and sometimes it is just the little things that make all the difference. 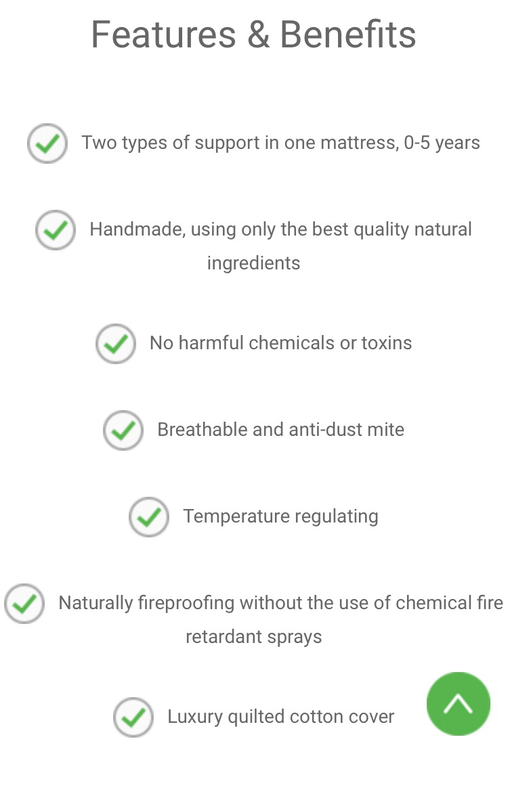 I also really loved the fact that the mattress is naturally fireproofed, further peace of mind for Mummy and Daddy. And finally, and most importantly, is that fact that by it being natural it is by far the most gentle on Harvey’s delicate skin(eczema prone). 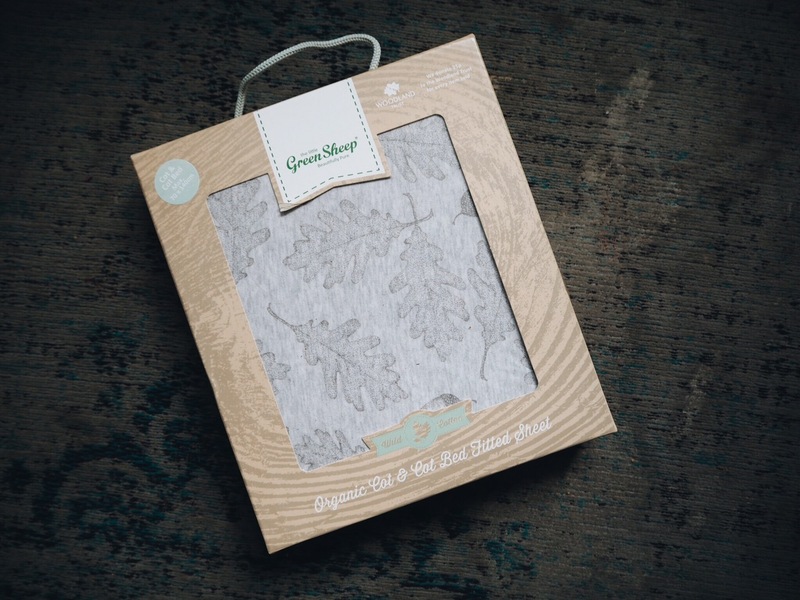 Now having used a ‘The Little Green Sheep’ product for myself I am highly interested in their other products and I know with the new bump on the way I would love to discover more about some of their other items. 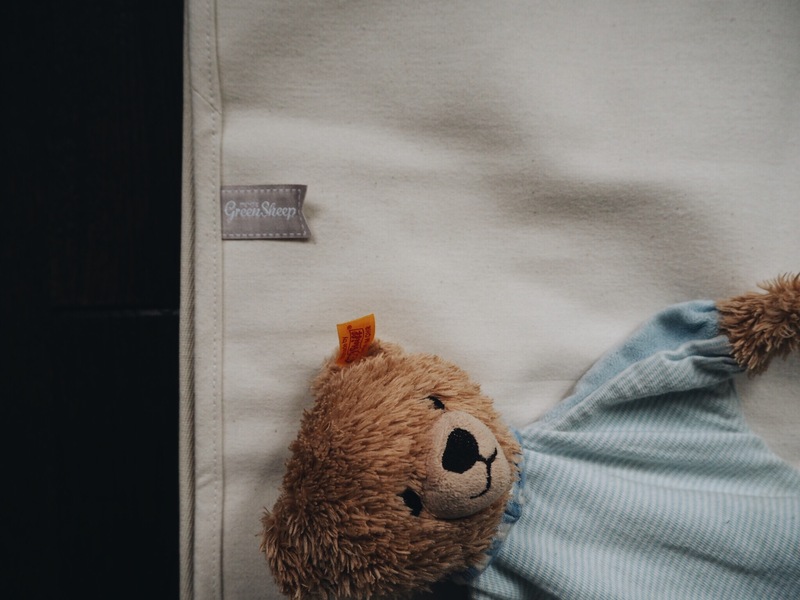 As well as mattresses they now also produce a range of baby sleepwear including babygrows, sleepbags and bedding including sheets, pillows, duvets and muslins. The sheet we received in our trial is without a doubt one of the softest I’ve come across and I’ll certainly be investing in some more for both Harvey and the bump! And finally in addition to all this they are also the creators of the well know co-sleeping baby crib; the snuzpod! 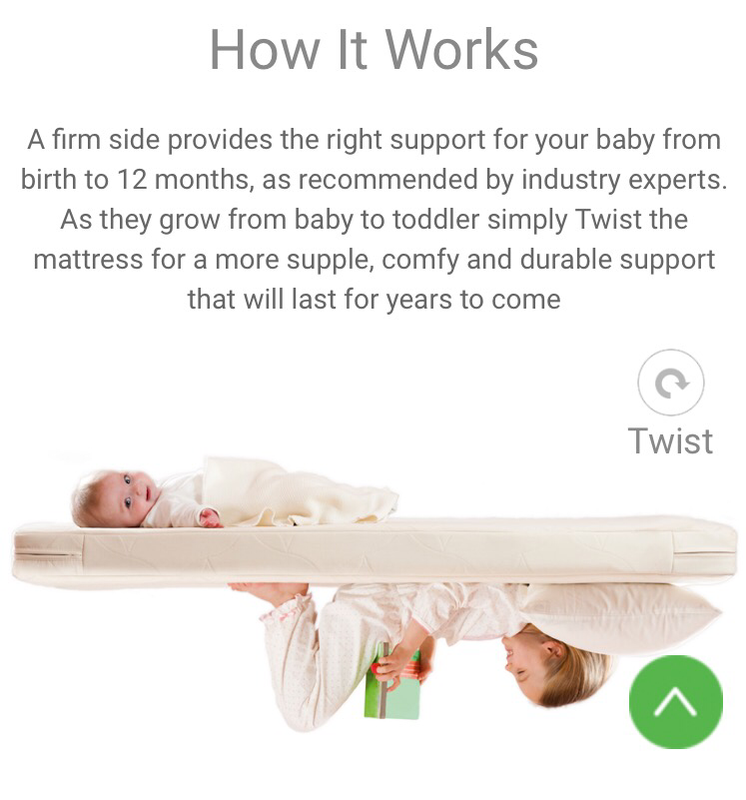 Good luck with your mattress search and baby purchases, I hoped this helped and I welcome any questions! This entry was posted in Baby, Family, Harvey, Lifestyle, Uncategorized, Working mummy and tagged Baby, babylife, babysleep, babytracking, explore, Family, Harvey, Lifestyle, mama, mattress, mom, momblogger, mother, motherandson, mum, mumblogger, mummy, mummyblogger, one, organicbaby, organicmattress, sleepingbaby, toddler, workingmummy by therusticmother. Bookmark the permalink.